Well, it’s just about over…. Who chose something to make a habit for 2014? Who has gotten a gym membership? Who has hired a trainer? Who has committed with a friend to go walking everyday? Who has signed up for from couch to 5k? Who is gonna do a 1/2 or even a whole marathon? Who has decided to live better? Healthier? Actively? Who has decided to care for themselves? All it takes is a decision! Just decide! Start small and the just blossom…. Life really is to short to not be happy and live it to the fullest! Make changes….be healthy and LIVE the LIFE! Here we go…last couple of days for 2013! Let’s get busy and plan a strategy for changing in 2014. The first thing to do if you are serious about making positive changes in 2014 is to end some bad habits and implement some new better habits. First, make a list of better habits you would like to implement. Write them down. Now pick one new habit to implement. Work on this one until you get it down before adding the next one. Be consistent with your new habit. For example: if your new habit is to have one cocktail a day instead of 2 or more. Say, I will have 1 cocktail as soon as I get home only. Don’t trick yourself and make it a double….lol! Habits help keep us on track…they help keep me balanced and in control. Anyway, that’s the first tip for the new year….make better habits. What are some of your habits going to be? Let me hear from you. Oh by the way…SAINTS made the playoffs!!!!! Almost New Year 2014! Wonder what’s in store? I’ve spent the weekend doing pretty much nothing. Cold and rainy outside all day yesterday. I do feel like I let a perfectly good day get wasted, but did enjoy just being still. Today is the last day of regular season football. Hope the saints don’t disappoint me. Looking forward to getting back in the gym and a regular schedule. Also, don’t forget FOUNDATION TRAINING at DeVille YMCA next sat at 8:30 and a beginner class at 9:45. Cost: Y members 10.00 and non-members 25.00. 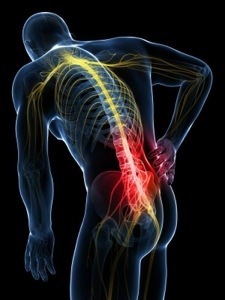 If you have back pain show up for this class and learn a new way to stretch and strengthen muscles that are most likely a large part of your back problem. Christmas is over and the countdown to end the year has begun. 2014 is all but one week away. A new year, a new beginning, time to start over. Everyone likes a fresh slate. I usually like the last week of the year. Time to reflect, time to plan, time to watch a lot of good football games. My 2013 was ok. I had some good things happen and a few not to good things happen. I’m blessed to say I really have nothing to complain about. Also, blessed to say I’m blessed with the life I have and am living…all my needs are met. My 2014, will hopefully be more of the same. I’ll continue working on my fitness plans for myself and everyone else. That’s really my favorite thing to do besides playing golf with my friends. It gives me great satisfaction to help others implement a healthy lifestyle into their lives. So, be ready readers….more health/fitness material on the way! What was you’re 2103 like? Let’s hear some plans and goals for 2014. Everyone have a good day and let’s finish this year out strong with momentum into 2014! Well, Christmas week is here. It gets here quick even though it takes over 350 days every year to get here. I know most people will have short a short work week, lots of time with family, stress over what to get people and how much to spend, and of course eat way to much. All of this is well and good…it’s what Christmas has turned into. That’s all my preaching for today. I do wish everyone a happy and HEALTHY Christmas and New Year! Of course, I will continue sharing fitness, healthy eating, healthy habits, and of course Foundation Training to the masses. My plans included more education on FT and the GOKHALE Method, of course my short intense workouts, teaching lots of Foundation Training, and sending out a weekly newsletter via e mail. So, if you’d like a newsletter send me your e mail. Take time to click on the above link by Dr Mercola. He talks about the harmful effects of sitting all day. Even if you exercise the recommended 30 minutes a day, it’s not enough to counteract what sitting to much can do to the body. He will also talk about posture and how important it is to keep us healthy and moving properly as we age. It’s important for our health…especially those of us already in mid-life headed towards our senior years. Health care cost are entirely to much….do what you can for yourself for as long as you can. I practice Esther Gokhale methods and I’m a FOUNDATION TRAINING INSTRUCTOR…contact me for a free consult. It will improve your health and your life. Gonna be a wet one (again) here in Jackson,Ms. It will be a good Day tommorrow to be at the DeVille YMCA for a Foundation Training Class. There will be a group there of 5 or 6 who have already had one class…so we will review then add some more. Feel free to join in this class. Cost is 10.00 for any Y member and 25.00 for non-member. 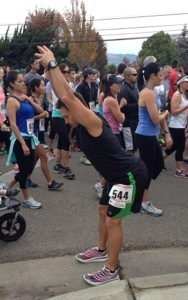 Come learn about your body and how to stretch and strengthen the posterior chain. I will add classes as interest grows. I also, do private classes if you don’t like the “group” setting. Just message me or e mail to Steveygaddis@yahoo.com.